I was fortunate to attend this event last week. The number of university start ups does appear dispiritingly small. Muir concluded by stressing that the IPPR had lots of suggestions for ways in which universities can contribute to local economic development. 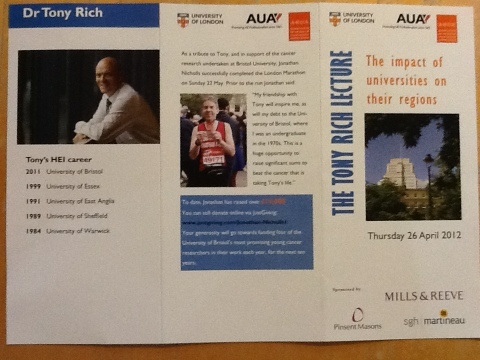 David Allen supported much of what Richard Muir had said and quoted a recent comment from Alan Langlands on the contribution of universities to growth and their place in communities. Allen noted that a recent research study had confirmed that international students at Exeter University support over 3,000 jobs in the South West. Moreover the economic impact of the university overall was more than 40 times that of the anticipated benefit of the new John Lewis store in Exeter. Unfortuantely, all the headlines go to the shop. Educated at Pembroke College, Cambridge, he was ordained a priest in 1818. He became a Fellow of Pembroke College a year later. He was a Fellow and Tutor of Catharine Hall (St Catharine’s College, Cambridge) in 1820 and Hulsean lecturer in Divinity from 1826 to 1827. His lectures were published as Of the proofs of the divine power and wisdom derived from the study of astronomy in 1835. That same year, Chevallier was invited to become Professor of Astronomy at the newly-founded University of Durham. A chair of Mathematics and Astronomy existed at the University of Durham between 1841–1871; Chevallier was the one to hold this post. 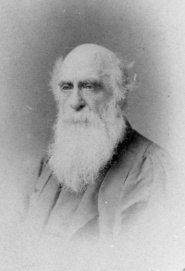 He also served as Reader in Hebrew 1835-1871, Registrar 1835-1865, and from 1834-1835 also assisted with lectures in Divinity. He was instrumental in establishing the Durham University Observatory (in 1839), serving as its Director for thirty years, and from which he made important observations of Jupiter’s moons and regular meteorological observations. From 1835 until his death, he also served as perpetual Parish Priest at Esh, just outside Durham, where he founded the village school and restored the church. He also has a crater on the moon named after him. A great set of contributions. Tony Rich is in this league. But without the beard, obviously. The speakers were followed by some warm tributes, led by Chris Cobb, to Tony’s huge contributions to higher education and to his work for AUA and AHUA. Tributes too to Jonathan Nicholls who ran the London Marathon to raise money in Tony’s name for cancer research at the University of Bristol. All in all a terrific event and a great deal of warmth, affection and respect for Tony’s work in the sector.